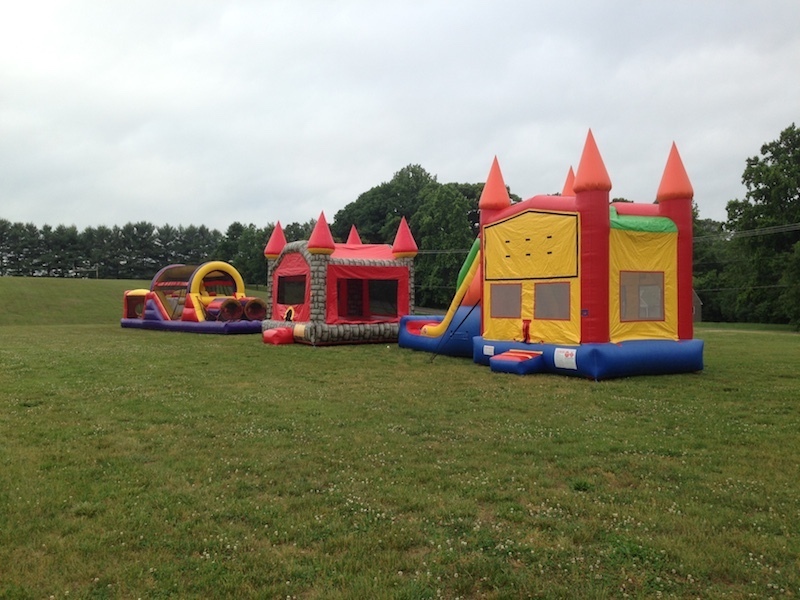 In addition to our lineup of moonwalks, Benham's Bounceables also offers slides and combo inflatables for rent. Our slides and slide/combos are available for rent for 4 hours or up to 8 hours. The castle slide combo is versatile in that you can add a panel to the front of the unit to give it a different theme. We currently offer the Ballerina, Knights and Dragons, and a Pirate theme. 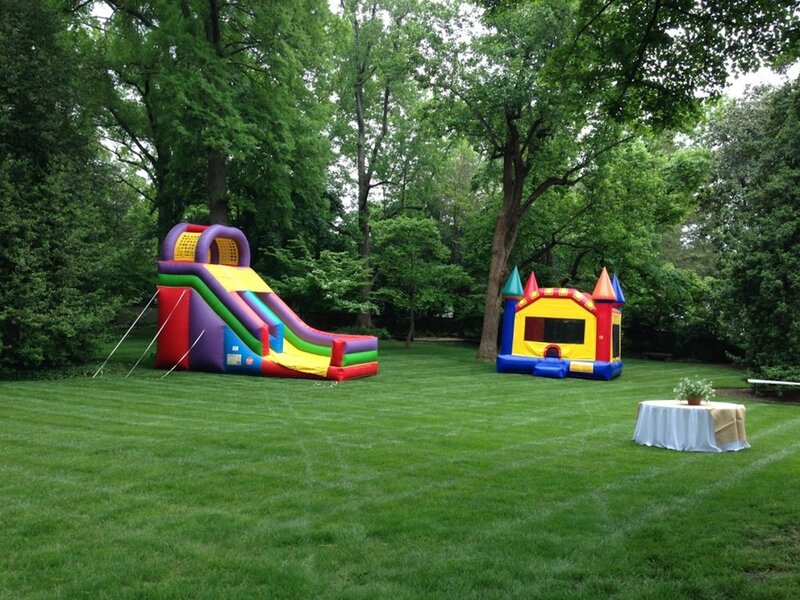 With or without the theme, it is a good unit for backyard parties. At 13 feet wide and 31 feet long it can really fill up a backyard! Additionally, there is a basketball hoop on the inside for extra fun. We also offer our Kings Combo and Crayon Combo which offer fantastic curb appeal. Our 18 foot slides are a great item for backyard parties or larger events. Participants climb up the slide, make a u turn and come back down. The layout allows for a high "throughput" of participants. 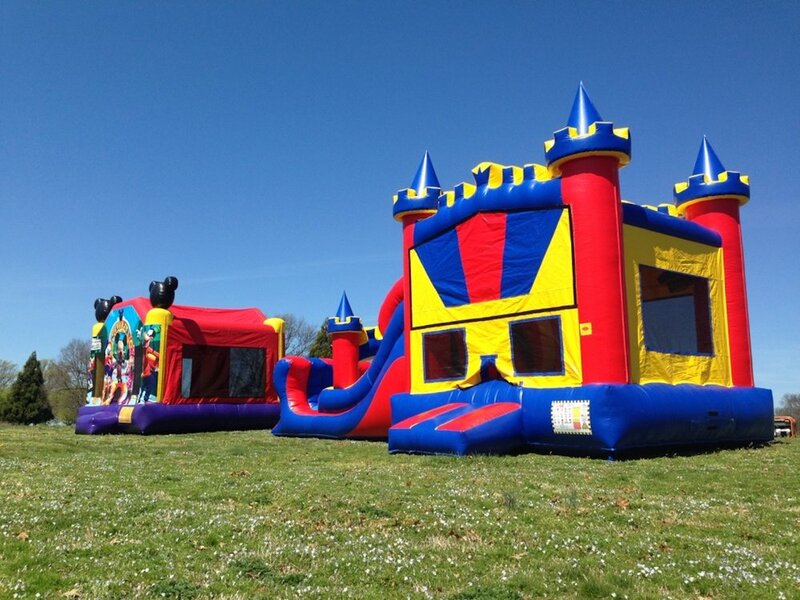 For the complete inventory as well as waterslides and to check availability and pricing for any of these inflatable slides and combos just hop on over to our reservation page to schedule your next party rental.